When it comes to what Apple will announce when the wraps are taken off new iPhones later this year there has already been more than enough rumors to go around at at this point we think we have a pretty good handle on what will be shown off come September time. 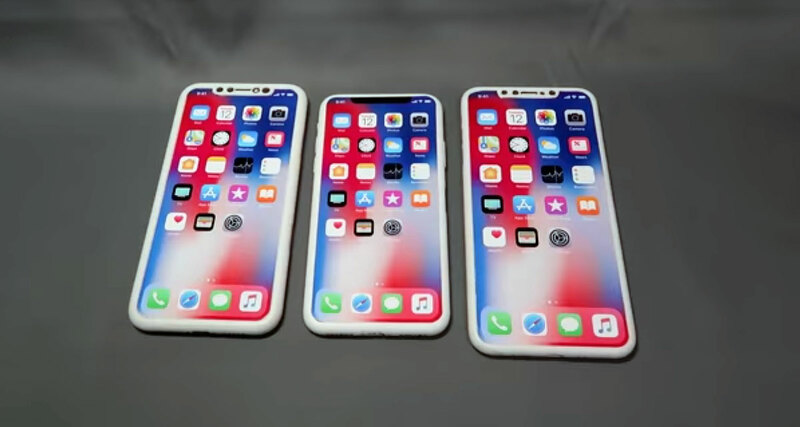 If all of the indications are correct then we will see three new iPhones announced, and now Macotakara has shared a more detailed look at what those three devices will look like. Apparently based on “final design” schematics that have been known throughout the Asian supply chain over the past week, a number of 3D mockups have been created which are said to show off the entire late-2018 iPhone lineup. All three devices follow patterns we have come to expect now, but seeing them all together does give us our best look yet at what we will be lining up for come the end of the year. Starting out with the replacement for the current iPhone X, the schematics used are 143.65 mm by 72.03 mm by 7.69 mm, which represents an additional 1.1 mm in width when compared with the current model. Macotakara did suggest that the difference in sizes could be down to the way the measurements were taken and whether they include things like button heights, and it’s important to note that the video does show that an iPhone X case was able to be put onto the mockup, too. Moving on we have the phone dubbed the iPhone X Plus, a 6.4-inch version of the smaller model. This appears to be closer to iPhone 8 Plus dimensions but with a narrower aspect ratio. Measurements of 157.53mm by 77.44 mm by 7.85 mm thick were used, and the result is a device that is thicker than the iPhone 8 Plus. Finally, we have the 6.0-inch LCD iPhone measuring somewhere between the iPhone X and iPhone 8 Plus at 150.91 by 75.72 mm by 8.47 mm thick. The device is also noticeably thicker, too, likely thanks in part to the use of an LCD screen rather than the thinner OLED. All of this goes to further corroborate the rumors that are already out in the wild, but we will surely know for sure in a few short months. It’s also likely we will see more leaks before then, too, so watch this space!